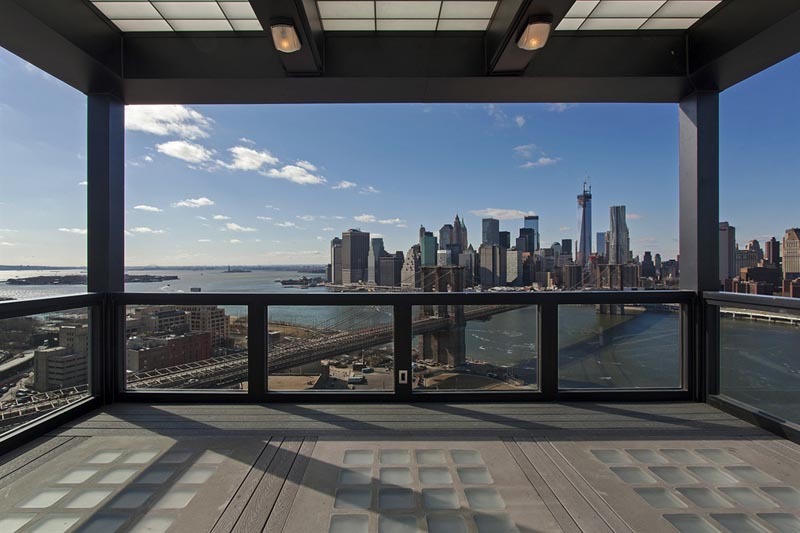 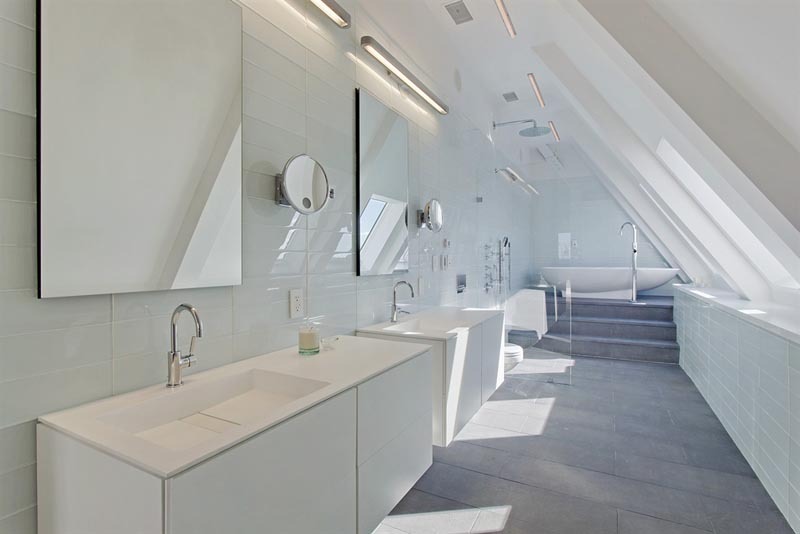 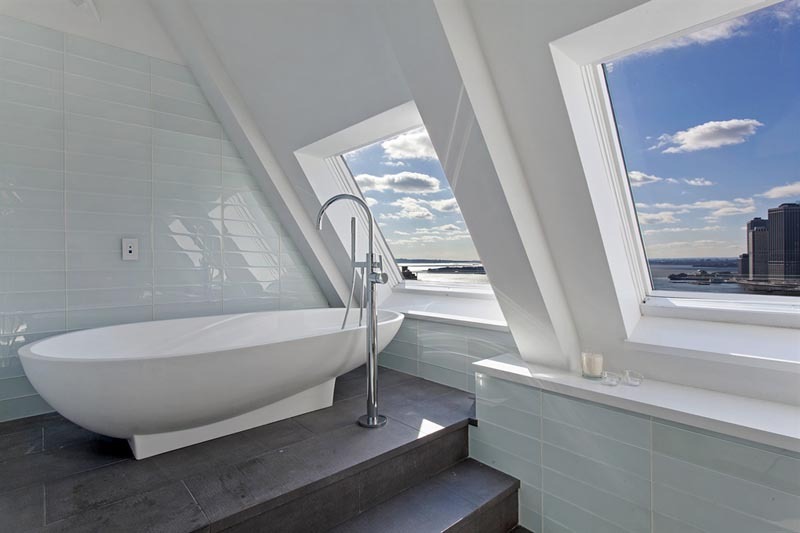 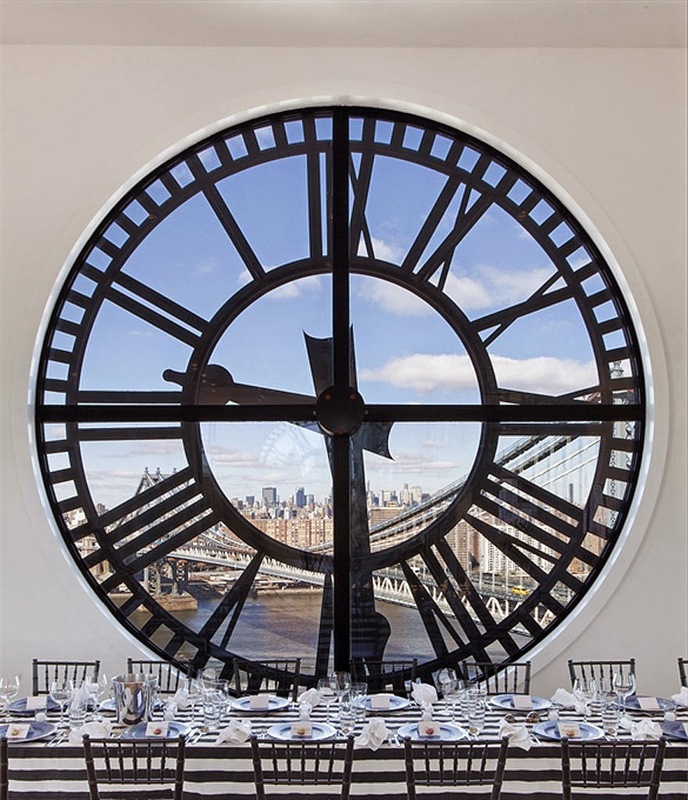 At the top of 1 Main Street in Brooklyn, New York, is an iconic clock tower penthouse, that has been transformed into a stunning 3 story penthouse with breath taking views of the city, river and New York skyline. 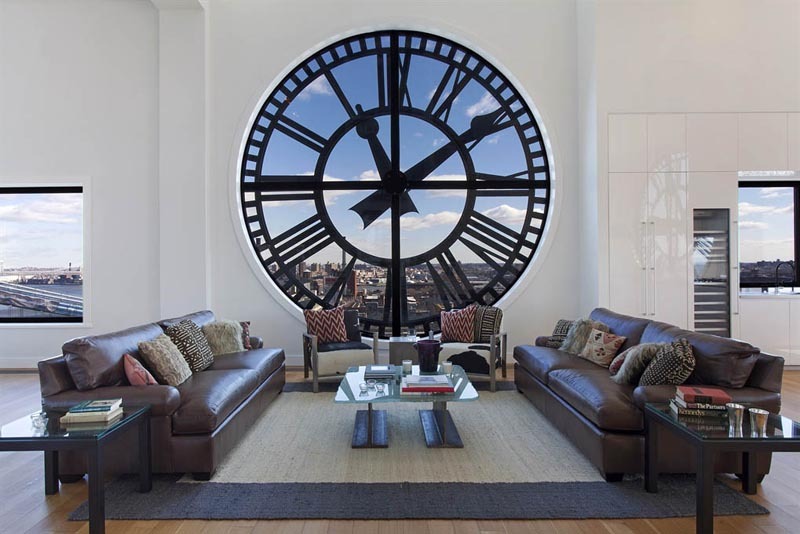 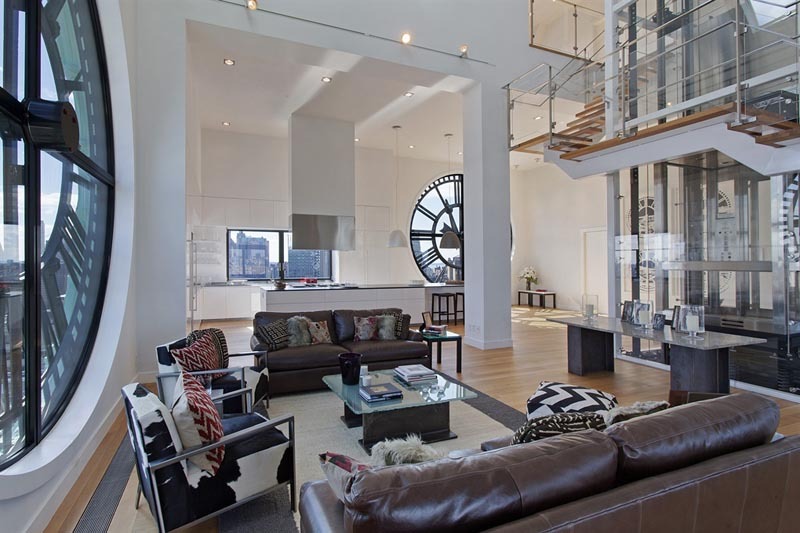 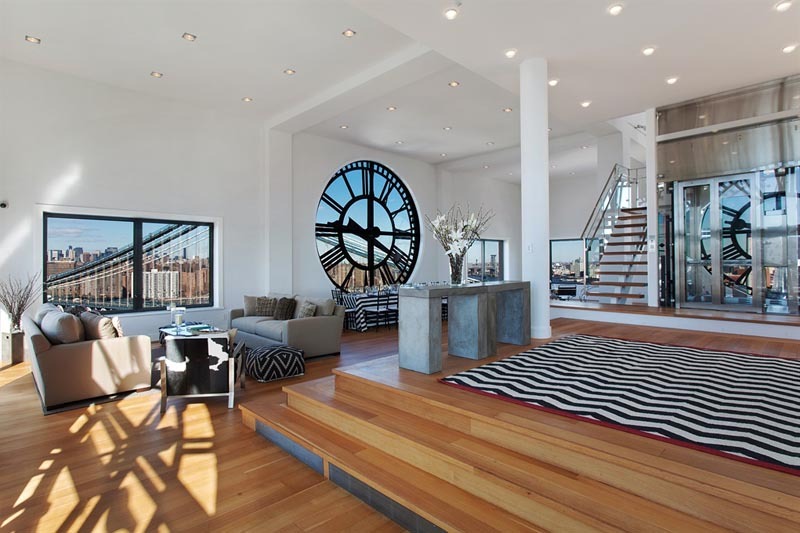 The signature feature of this penthouse, are the 4 famous 14-foot glass clocks that surround it’s interior. 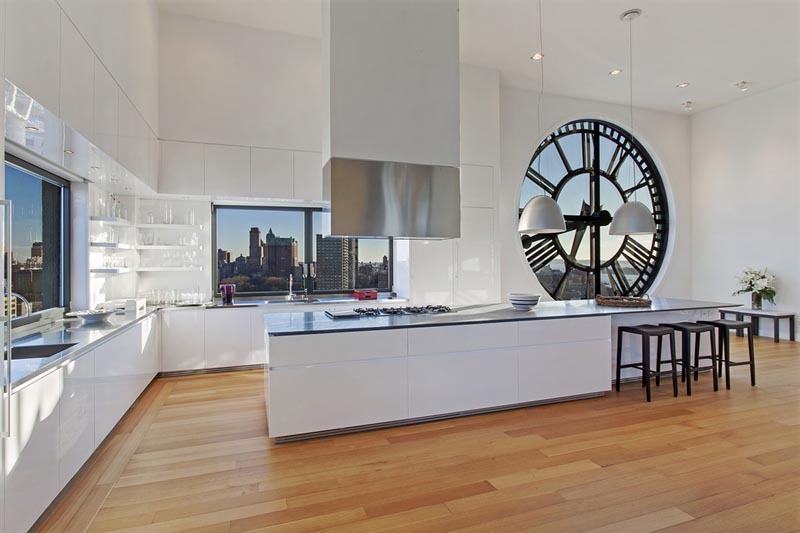 The clocks make this home exceptionally memorable as does the penthouses unique location and its birds-eye vantage point. 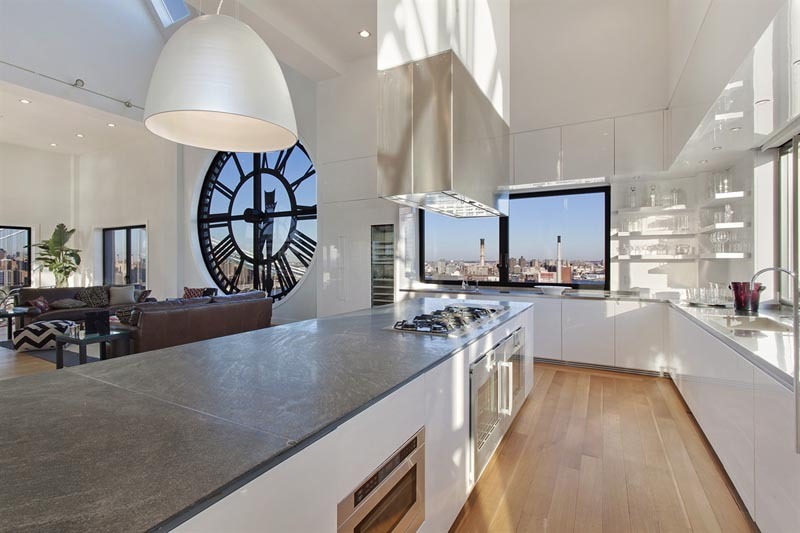 This unique home also boasts 6,813 square feet, soaring ceilings from 16 ft to 50 and a custom glass-enclosed 3-story private elevator. 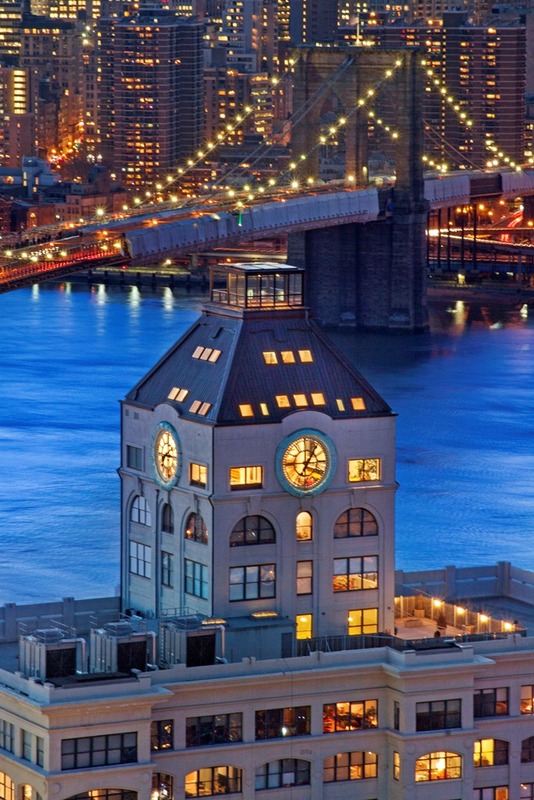 It is located in the now coveted and trendy neighborhood of DUMBO, (Down Under the Manhattan Bridge Overpass.) 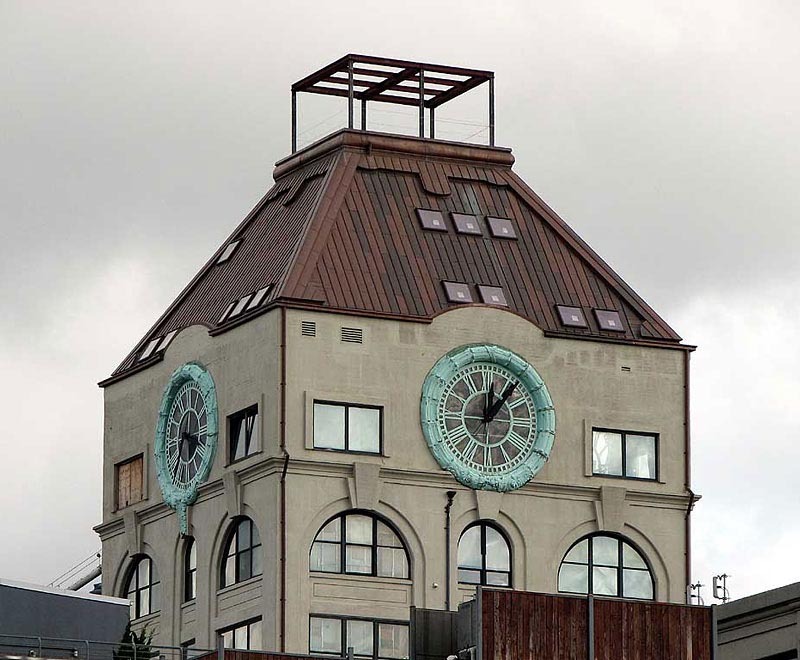 The entire 12 story Clock Tower building is the brainchild of developer David Walentas. 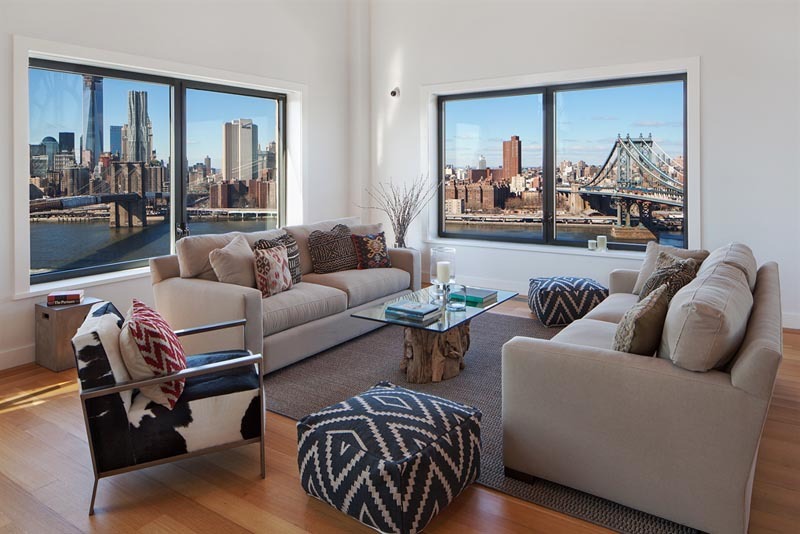 35 years ago, David turned an untouched and dying industrial neighborhood into one of the swankiest historic districts in the city and his creative vision contributed to making him the Brooklyn Billionaire and real estate tycoon that he is today.